This is part-one of an interview series outlining the application process for students interested in interventional radiology. 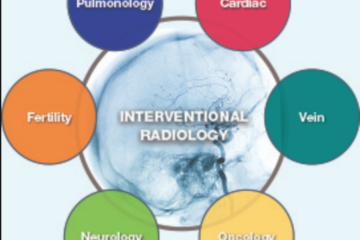 With the upcoming 2018 match cycle quickly upon us, many students are likely navigating the application process for integrated interventional radiology residency programs as well as diagnostic radiology programs with later intent to specialize in interventional radiology. We sought some veteran advice from two graduates who recently and successfully underwent the 2017 match process. Both have been involved in student engagement with the field of IR and have kindly shared their perspective on various aspects of the match. Kyle Wilson [KW] is a PGY-1 at the University of Michigan in Ann Arbor, MI to continue on in an integrated IR residency there. Maggie Chung [MC] is a PGY-1 currently training at Scripps Mercy Hospital in San Diego, CA to continue on in diagnostic radiology training at the University of California, San Francisco. What would you say are the top 3 ingredients for a strong IR application? [KW]: First and foremost, I think it’s important to show dedication to advancing Medicine, writ large. In a perfect world, if you’re applying to interventional radiology, that would manifest itself as a dedication to IR. However, that doesn’t necessarily have to be the case. Many people discover IR late in their medical school careers, and thus have likely dedicated time to a different field (e.g. vascular surgery or oncology). Be that as it may, the leadership skills they have learned advocating for those other fields easily translates over to advocating for IR. The future of our specialty demands skilled and passionate advocates, regardless of where they come from, and their specific backgrounds prior to their commitment to IR. Second, I believe students can strengthen their application by demonstrating substantial effort to grow interest and understanding of IR at a local level. SIR has done, and continues to do a phenomenal job of promoting IR familiarity and understanding at a national level. However, our local efforts could be better. 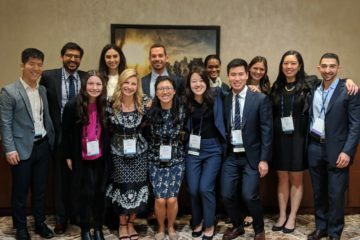 Most medical students don’t consult national professional societies to help them decide what they want to do; they ask their friends and local mentors. In order to ensure that we have a steady supply of superlative applicants for the new IR residency programs, it is imperative that we develop a network of local friends and mentors across the US and internationally. This starts with students acting locally, and demanding more exposure to IR from their own institutions. Finally, I think that strong mentorship is important. 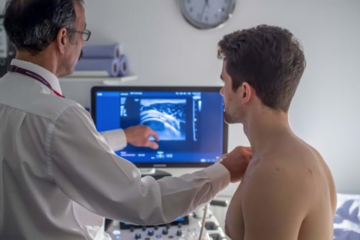 Unfortunately, there is a great deal of conflicting information about the past and future of interventional radiology circulating online. It behooves students to cultivate a relationship with a trusted mentor, who can help guide their interest and application process. Mentors can help students engage in research, start an IRIG, find and attend meetings, write letters of recommendation, and call their colleagues on behalf of their mentees. The involvement of a good mentor is indispensable, and can do a great deal to make up for subpar grades and board scores, or a relatively late interest in the field. [MC]: The three characteristics that many program directors look for are dedication to IR, clinical knowledge and performance, and work-ethic. Accepting a candidate into an Integrated IR Residency is a 5-year commitment for program directors. They need to know you are serious about IR and have had enough exposure to make an unwavering commitment. If you have formed a relationship with an IR mentor throughout medical school, a strong letter from them can speak to your long-standing interest in IR. Additionally, research in IR, involvement in your institution’s IR interest group, leadership roles in the SIR Medical Student Council, IR sub-I’s/away rotations, and/or attendance at SIR meetings are crucial. IR programs are also looking for candidates who will be able to handle the clinical demands and hectic schedule of an interventionalist. A candidate’s clerkship grades, USMLE scores, Dean’s letter, and letters of recommendation from other specialties will speak to an applicant’s daily performance and work ethic. What was your strategy and do you have any advice for future applicants to strengthen their IR applications (e.g., research, clinical exposure, mentorship)? [KW]: I tried to apply to the best IR residency programs I could find, without breaking my bank account. To that end, I leaned heavily on the advice of other physicians, residents, and students who were also interested in IR. I only applied to 22 IR residency programs, but at each institution, I could point to a specific faculty member I knew and trusted, or a research project I found compelling. I supplemented this as necessary with information from databases like AAMC’s Careers in Medicine, AMA’s FREIDA online, and Doximity. As far as my application was concerned, I did the obvious things: I worked hard to earn the best grades possible (and they weren’t always the best in the class, but you can’t win them all), and score highly on standardized tests. I was involved in research projects that interested me and published relatively well. When it comes to IR specifically, I had a number of great mentors that I could talk to, and I was active with SIR. Had I to do it all over again, I wish I were more involved with my local radiology interest group, and pushed harder to form a dedicated IRIG at my school. [MC]: Everyone knows what it means to do well in medical school (clerkship honors, high Step scores), but what will help applicants stand-out is evidence of long-standing interest in IR. Medical students interested in IR should get involved as early as they can in medical school. Identify one or two mentors who will be invested in your development. Relationships with these mentors will help you learn much more about what it is like to be an interventional radiologist and also open many doors for research, leadership, etc. Students should also become a committee member of the medical student council. If students become committee members in their first or second year and work hard, they can go on to take on leadership roles like committee chair or council president. How important is an away rotation when applying into IR? How many did you do? [KW]: I don’t think we have enough data to definitively answer the first question. We need a few more application cycles to determine if we’re more like surgery, where away rotations are nice, but not necessary, or dermatology, where away rotations are required. Regardless of where we fall on that spectrum, away rotations are good for two things: 1. Demonstrating interest in a given institution, and 2. Demonstrating interest in a geographic region in which you do not presently reside. The caveat to all of this is that, if you’re going to spend the time and money on an away rotation, you must work the very hardest and give the very best performance you have ever given in all of medical school for that rotation! Anything less risks doing more harm than good to your application. If you’re doing an away rotation to bolster your application, you need to finish it by September for a letter, and by November for an invitation to interview. However, there are good reasons to do an away rotation above and beyond their service to your residency application: you may want to learn a specific technique or work with a specific faculty member. If that’s what you seek, the time of year is less important. I applied to one away rotation in October. I didn’t get a letter, but I was invited to interview, I saw procedures I had never seen before, and got to work with new faculty members, whom remain trusted mentors to this day. How many LORs are preferred for most IR programs? Did you run into any requirements on letters from specific specialties (e.g., DR, surgery, medicine)? [KW]: This is hard to say for sure. I think the magic number is between three and five. The common advice is to have one letter from IR, one from DR, and one from either surgery or medicine. I would also include one from a research mentor or away rotation faculty, if that person does not also meet one of the other three requirements I listed. More than five letters, and people won’t read all of them. Keep it succinct, and make sure each letter adds something that was not previously mentioned in another letter. I am not aware of any specific requirements for any program to which I applied. [MC]: The average is three to four letters. Few will have specific requirements about letters. It would be wise to include letters from a variety of specialties (especially medicine, surgery, DR, and IR) because these are the specialties interventionalists work with on a day-to-day basis. How did you choose who would write your letters to be able to apply into IR/DR/preliminary programs? [KW]: I wanted to do a surgery internship year. I was lucky, because most IR residency programs liked to see a letter from a surgeon, and this doubled as a letter for my internship experience. I have outlined my specific suggestions for whom should write letters above. Do you have any advice on how to write your personal statement when applying into both integrated IR and DR residencies? [KW]: I applied to both IR and DR residencies. I wrote only one personal statement. My logic behind that decision was that I owed it to my prospective DR residency directors to be honest. I planned to eventually go into IR, I was not smart enough to successfully hide that fact from them, and I needed their support for my ultimate goal to make the most of a DR residency. I do not have enough experience to offer good advice to students applying to other residency programs (such as vascular surgery, surgery, etc.). [MC]: If applicants choose to write separate personal statements for IR and DR programs, be genuine in both. Many DR program directors serve as the associate program director for the IR residency and may read what you submit to both programs. If an applicant expresses commitment to long-term DR career plans in the DR letter but also states he/she are 100% committed to IR in the IR letter, the contradiction may make the applicant seem disingenuous. Integrated IR residency spots have been extremely competitive. How many DR/IR/preliminary programs do you recommend applying to? [KW]: I applied to 22 integrated IR residencies, 10 DR residencies, and a preliminary spot at each of those institutions. Unfortunately, given the lack of comprehensive data on last year’s application cycle, I can’t say whether this was foolhardy or overkill. What should applicants look for in a good preliminary program? [KW]: A good PGY-1 experience should offer exposure to some combination of the following experiences and environments: SICU, MICU, vascular surgery, vascular medicine, cardiology, interventional cardiology, hepatology, transplant surgery, medical oncology, surgical oncology, nephrology, urology, neurology, and acute care surgery. Save the IR and DR rotations for later—trust that you’ll get enough of that. Use your PGY-1 year to learn about our consultants, and what they need from IR. No preliminary program offers all of these rotations. No program is perfect, but many are very good. Please check back for the companion piece to this article in the coming weeks where graduates will discuss their thoughts on the interview process, ranking programs, and ultimately the match. Acknowledgement: Collective and sincere thanks to Matthew Pouw (MS4, The Warren Alpert Medical School of Brown University) and Wenhui Zhou (MS3, Tufts University School of Medicine) for collecting the interview responses.